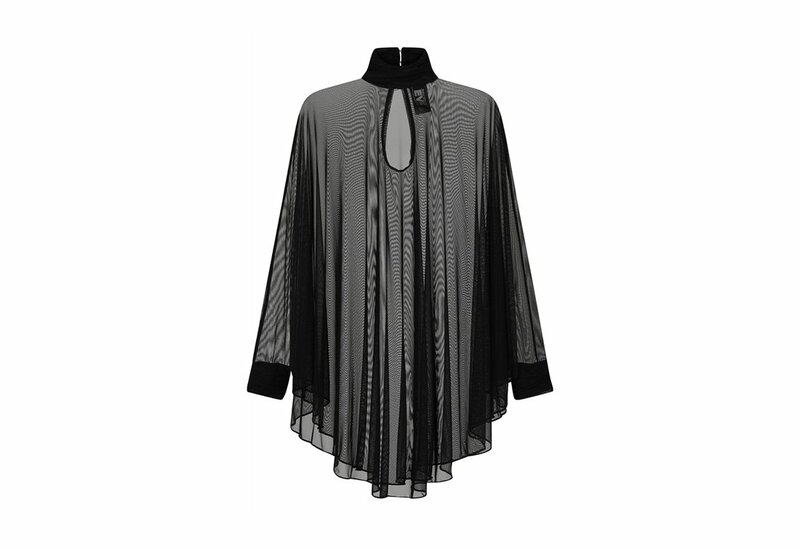 An elegant draped circle dress, the Lydia circle dress is made from a sheer mesh. 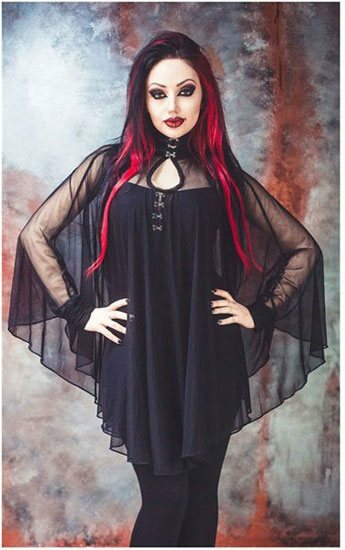 A high, ruched neck with hook and eye fastenings make it super stylish Gothic piece. 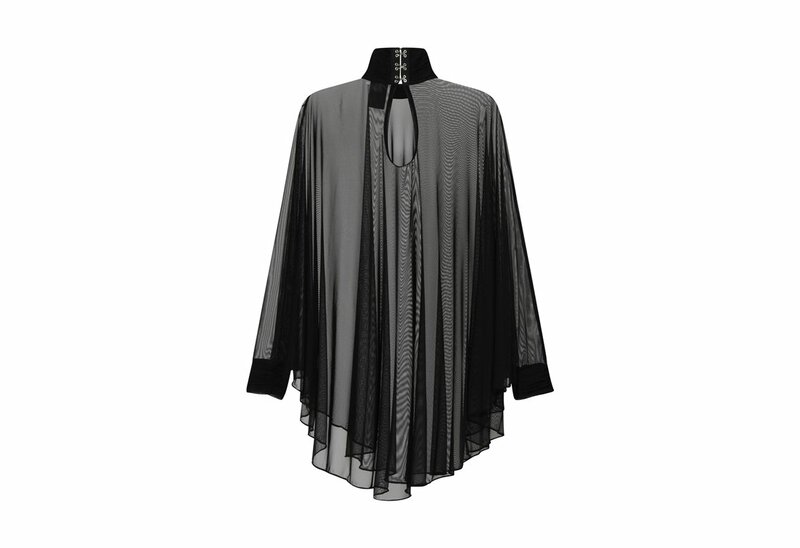 Combine with a simple slip dress and leggings for a for an extra statement layer for any occasion.